Arunava Giri from Calcutta, B.Sc Graduate. Working for : Cotecna Inspection India Pvt. Ltd. Currently working as Laboratory Manager at Cotecna Inspection India Pvt. Ltd.
are one of expert skill area's of Arunava Giri . 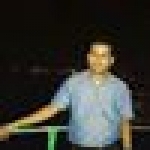 Arunava Giri is working in Quality/Process Control industry. TAKE CARE OF ENTIRE ..